“LaLaLi” – you might be thinking of tune of a lullaby now. 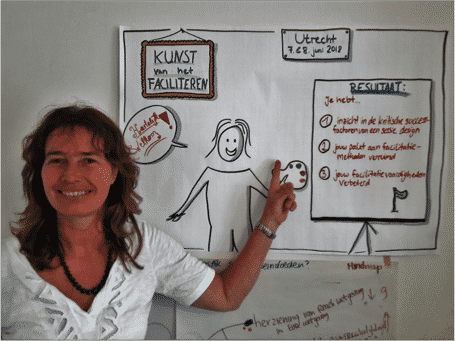 It is, however, the mantra during the training course “The Art of Facilitation”. 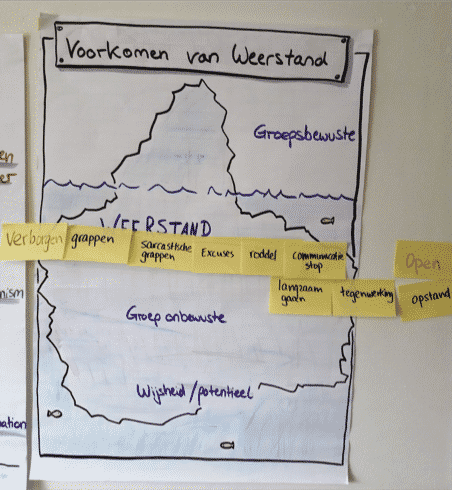 I followed this two day training course with Han Verhoeven, because in the future I would like to facilitate more complex group processes. 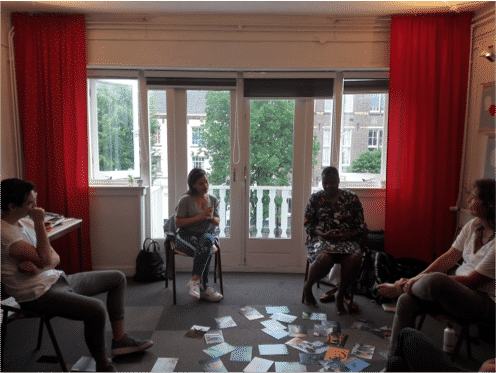 Despite the fact I already have some experience with dealing with groups because of my background as trainer, I was curious about this training to better understand the role and skills required of a facilitator. But yes, how does one do that? I have learned that if the loud voices or the majority – the “LaLaLa” – are clear, you have to dig deeper to what is not being said, to the voices that are invisible or that don’t agree – the “LaLaLi”. Symbolised by an iceberg, Han emphasised that it is important to surface the resistance, so that the deeper wisdom will come to light that will enhance the process. To achieve this, Han gives us handy concepts, tips and tools to practice with. 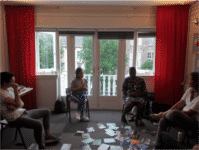 By trying out methods like Deep Democracy, Throwing Arrows exercise, Conversation on Your Feet or Sub-Grouping, we did not just learn new tools but we were able to immediately practice our own facilitation skills. Which tip stayed with me that I would like to share? I found it interesting that next to “superlistening” (with your ears, eyes, heart and body language) and compassion for each participant, neutrality is one of the most important meta skills that each facilitator should possess. Being neutral is harder than I thought, but you can practice. By being more aware of it, it can help you to prevent responses that are biased or judgemental (in your mind but also verbally or through body language). An exercise Han gave us to train this is easy to do with a colleague: put the alarm on your phone on 15 minutes and tell your colleague within this time what triggers you as a facilitator. Which behaviour, which situations or sentences trigger you and how do you notice this? (For example, someone who is continually looking at their watch or who often responses negatively to what other members of the group are saying). The other person just listens, doesn’t comment and doesn’t ask any questions, even when you don’t know what to say anymore. You will notice that you will be able to think of more and more things. If you want, you can switch roles afterwards. In the case of the person sharing, by doing this exercise you learn what puts you off balance if you are in front of a group. If that happens, you tend to lose your neutrality quicker. It can thus be quite handy to be aware of it. As listener, you practice your neutrality (just by listening without judgement) and how to dealing with silence. Fortunately now I do not have to stay neutral, but can freely speak: it was a very valuable training course. If you want to improve your facilitation skills, I can definitely recommend this!